First of all, you need a scourer pad to rub the surface before starting – this is an option if you want the finish to be closer to the original chair. 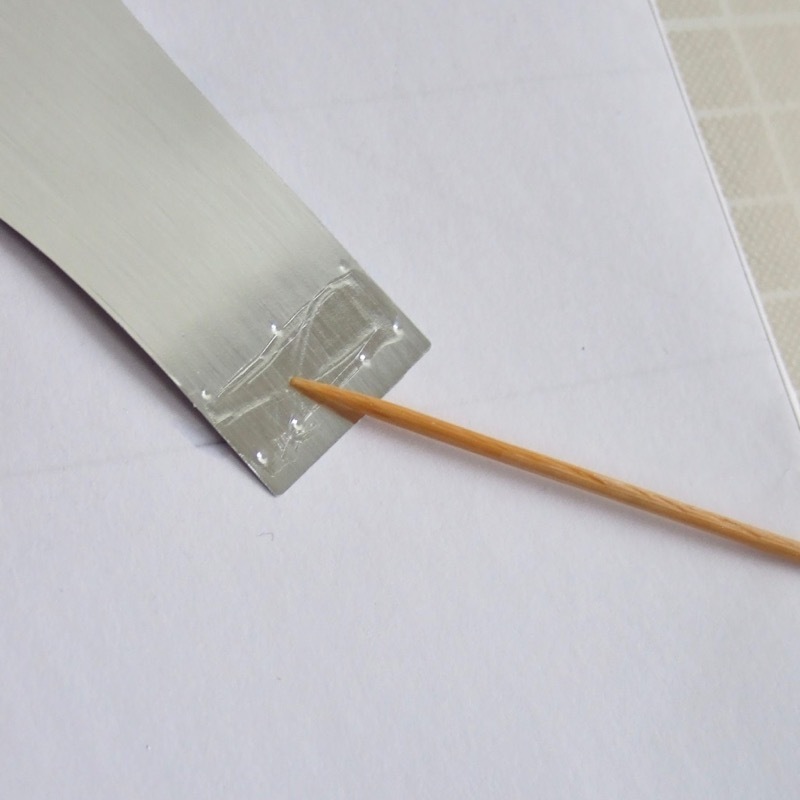 The product shown below, or something similar, does the job – please test at the edge of the chair card before rubbing the parts. Also super-glue and a toothpick help you to complete this model. 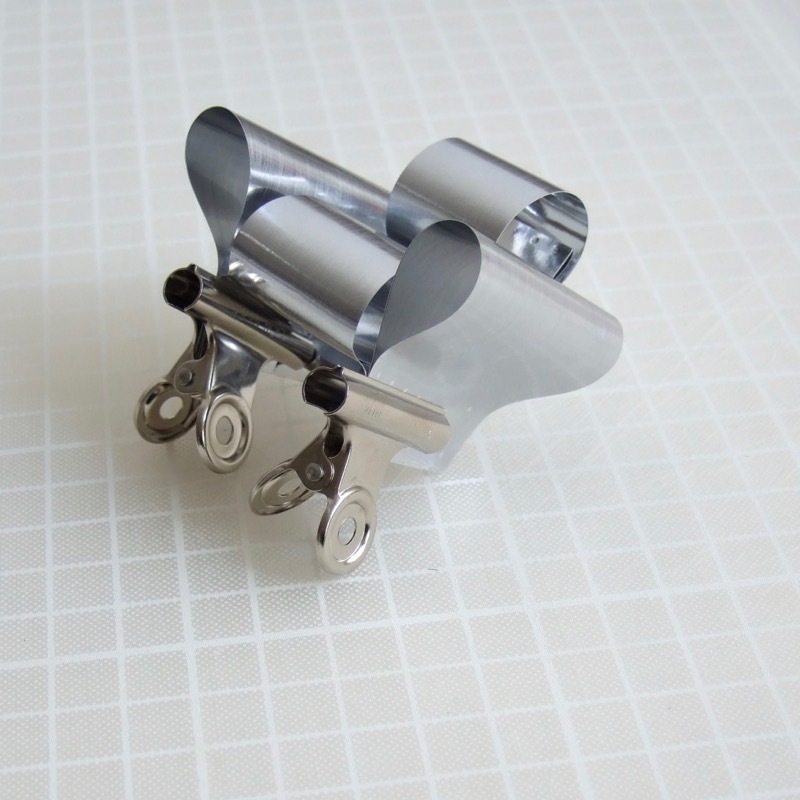 In addition, it will be a lot easier if you have a set of bulldog clips to use as clamps. 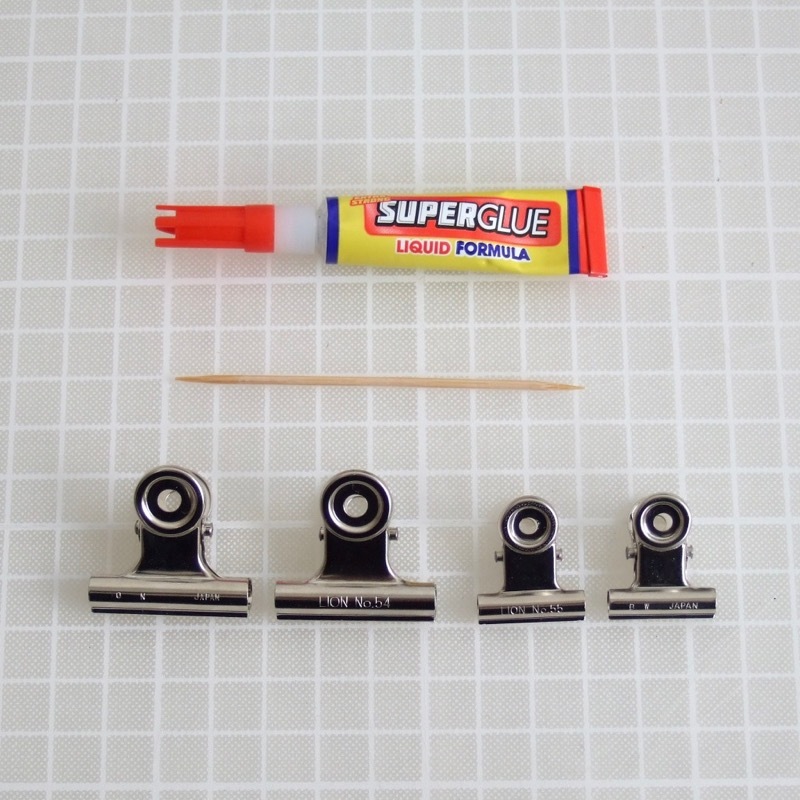 A little technique to make the complete model clean and neat – How to apply super-glue. As shown below, drop a tiny amount in the centre of gluing area, then spread it to the area of indications (bolt and nuts for the real chair). Make sure to read the user instructions and warnings for super glue first. 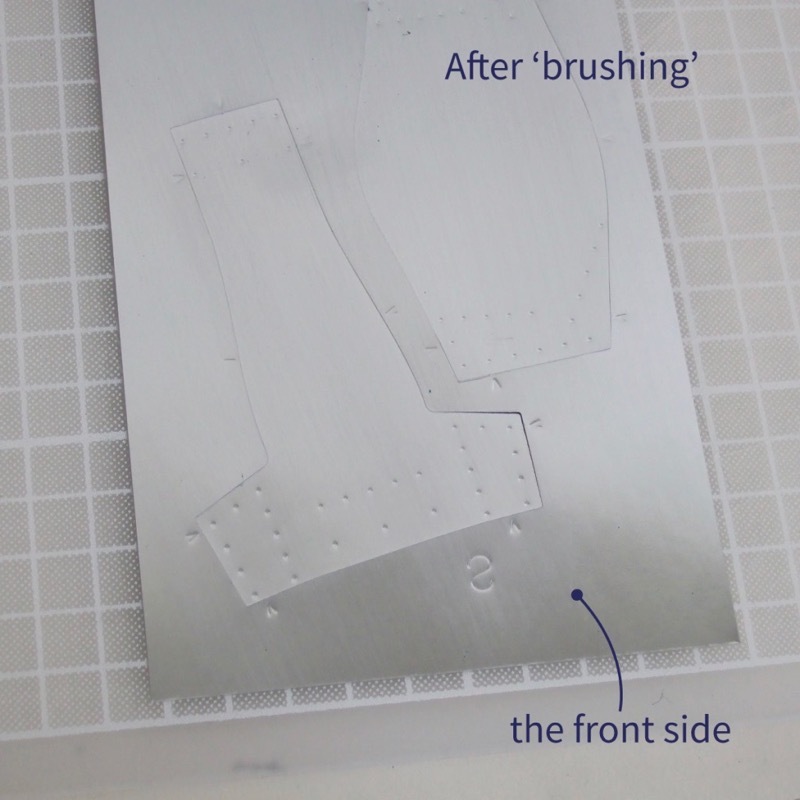 Before detaching the parts, rub the silver surface lightly with a scourer pad to make a fine ‘brushing’ or ‘hairline’ finish on the material of the chair. Test first, to make fine and straight ( not too rough or deep ) lines in the direction shown below, for both front and back sides. Front side is where you see that the dots are depressions. Curve the back part ( narrow and longest one ) and shape the loop with the front side out. 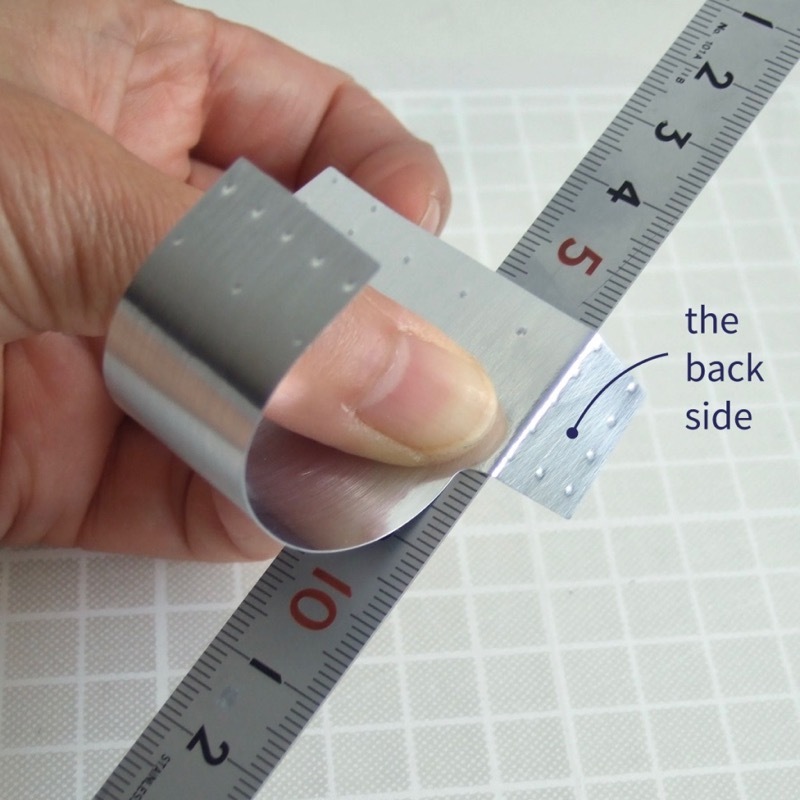 Fold base connections into a right-angle with the edge of a ruler. 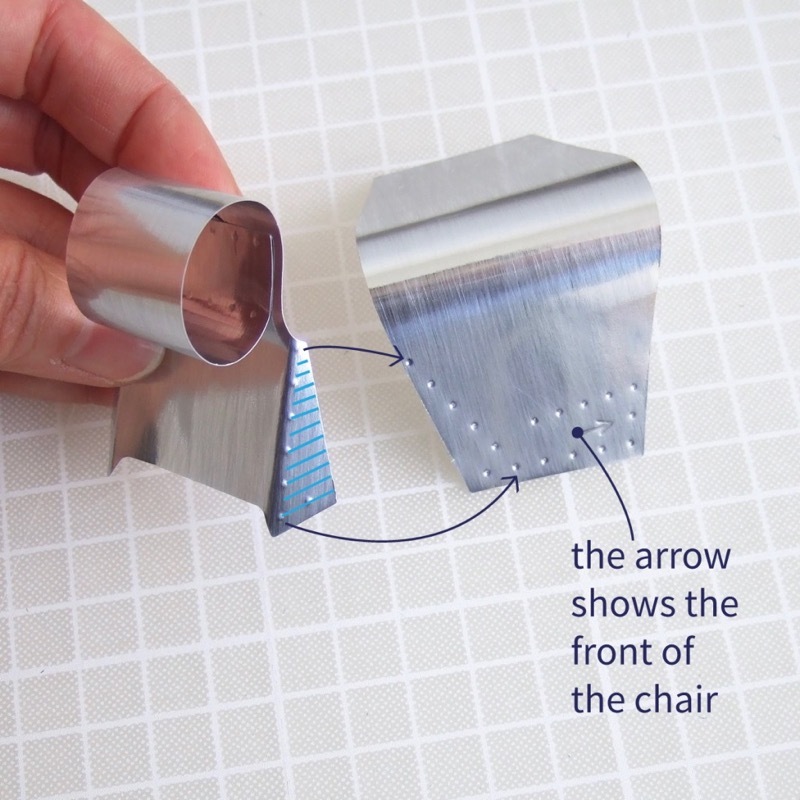 Then shape the loop, match the dots and glue it to form the back of the chair. Make sure that the loop is centred and aligned correctly. 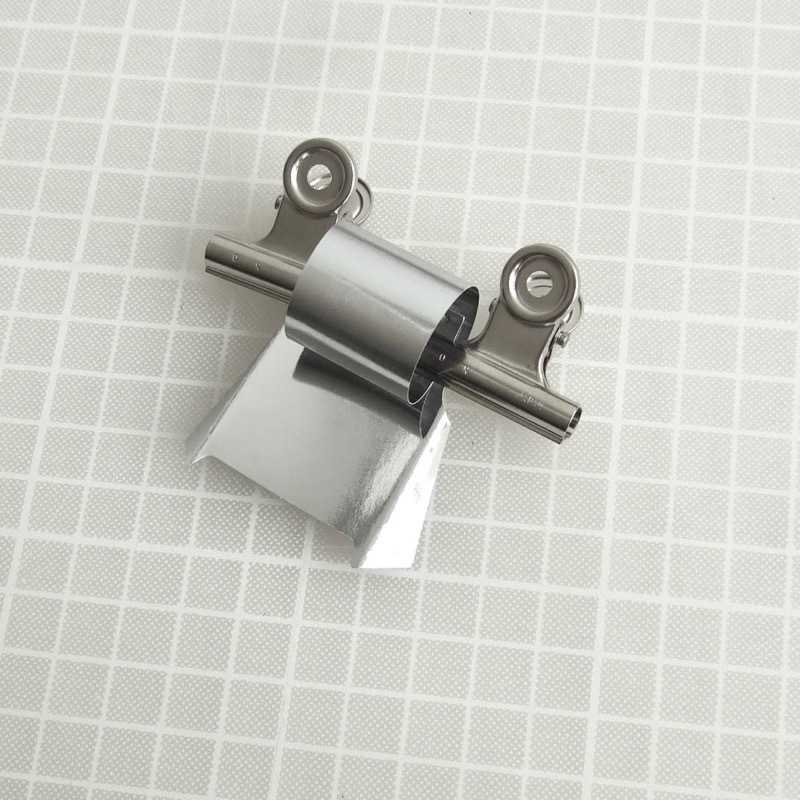 Hold both ends with clips, leave it until dry. Next is the seat. Curve the part and shape the loop with the front side out. Fold base connections at a right-angle with the edge of a ruler. Then shape the loop, match the dots and glue it to form the seat of the chair. Make sure that the loop is centred and aligned correctly. Hold both ends with clips, leave it until dry. Curve the arm parts, shape the loops with the front side out. Arrows are indicating inside of arms, front. 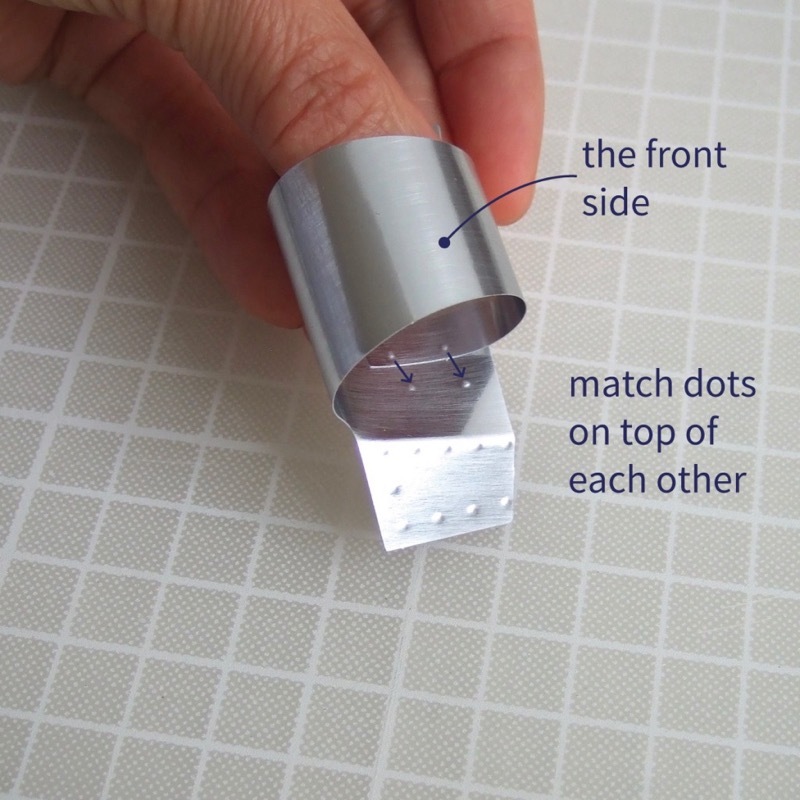 Match the triangle of dots of back part and the back of arm, glue them together with the bottom of parts aligned. Hold them with a clip each, leave them until dry. 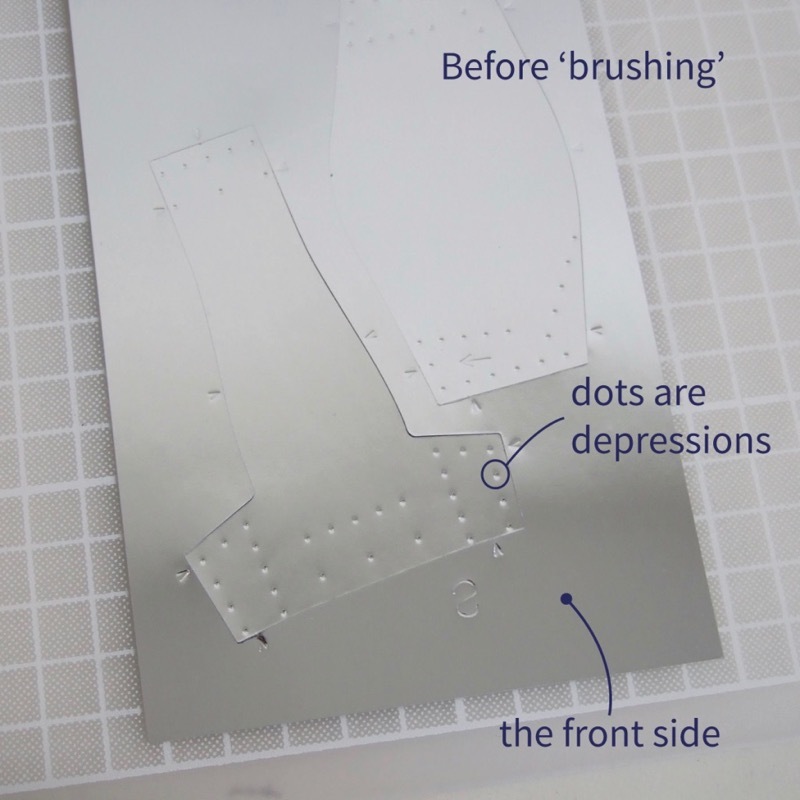 Match the trapezium shape of dots of seat part and the front of arm, glue them together with the bottom of parts aligned. Hold them with a clip each, leave them until dry. The final step is gluing the bottom of the arms. Match the dots with the bottom of the parts aligned. Hold them with a clip each, leave them until dry. The final step is to assemble the wall and floor. Please refer to How to assemble background, and it is complete.